We didn’t have a bedtime story on Monday because we went shopping with Sarah for a warm winter coat, ready for our holiday to Chicago. We ended up accidentally being out until really late. On the upside, we had delicious fish and chips for tea! 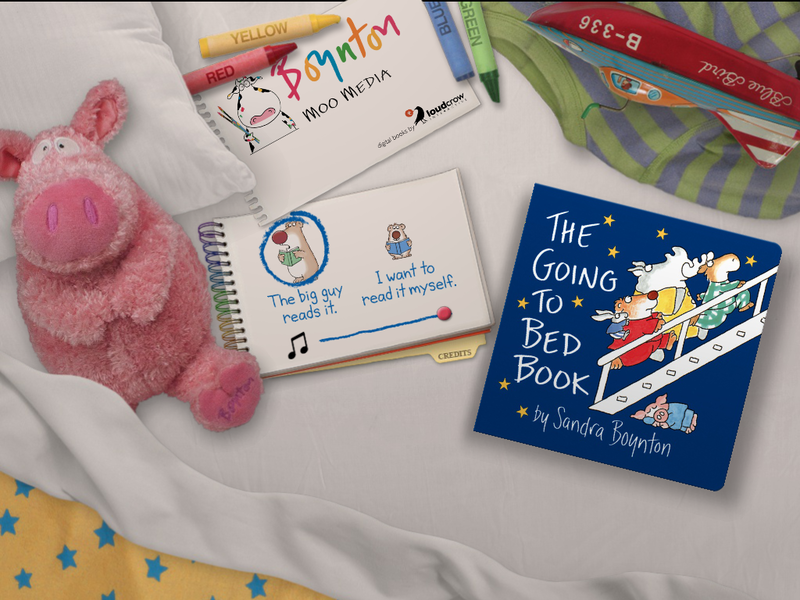 On Tuesday our bedtime story was actually an app on the iPad called Going to Bed, by Sandra Boynton. A man reads it to you (or you can choose to read it yourself), and there a cute simple, interactive animations. The pace and the narrators voice really lulls me to sleep, never mind James! I pinned it here, ready for a plane trip we were taking a while ago. I don’t think James bothered with it too much on the plane, but he enjoys it from time to time now. Read it again rating is probably 3/5, because James usually only wants to watch it / play with it once, then he’s done. This week we began our participation with the Baby Steps to Literacy programme. It lasts for 28 days, and we’ll be reading the same seven books each week until the end of the month. By the end of the 28 days, Danielle – the researcher – will measure if James and Noah have increased attention spans. 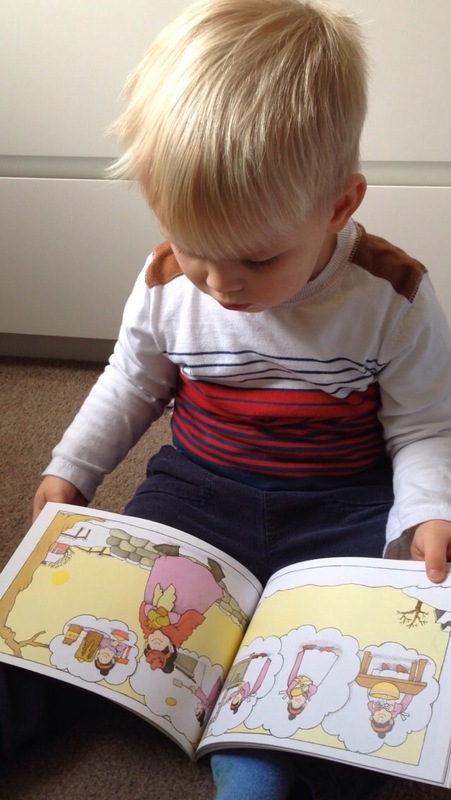 There are lots of benefits to reading to your little one, no matter how young they are, so if you currently read to your baby (or even if you don’t) consider contacting Danielle at the Baby Steps to Literacy Twitter or email and get involved with her study. She is especially keen to hear from parents of children under the age of 28 months, and it’s even better if they don’t like sitting for stories! So, Wednesday’s book was Brown Bear, Brown Bear, What Do You See?, which is the first of our recorded reads in the Baby Steps to Literacy schedule. 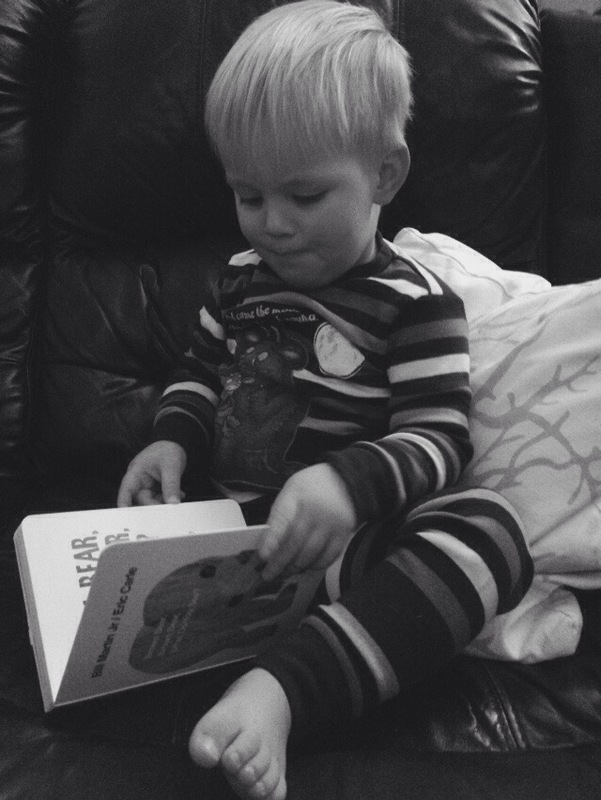 James enjoyed the book, and asked for it later when he was falling asleep in bed. Fortunately it is a fairly easy-to-remember read, so I could recite it while we lay in the dark. I think the read it again rating is about a 4/5 right now. On Thursday we read the classic We’re Going on a Bear Hunt which we love (though Rob does not, due to the repetition). Sometimes we watch this read by Michael Murpurgo on YouTube. He reads it rather like a song, and it’s good fun. When I read it I read the last part as quickly as I can, and we do a big sigh before we say, “We’re not going on a bear hunt again!” Read it again rating is 5/5. We read another of our baby steps to literacy books on Friday – Maisy Big Maisy Small. This is a colourfully illustrated book of opposites. James has a real soft spot for mice, so he was really thrilled to read a “mouse book”. He actually took it in the car to read, so read it again rating is around a 4/5. On Saturday we read Pancakes for Breakfast . This book has no words, so you can make up the story. The pictures tell the tale of a lady who wakes up wanting pancakes for breakfast, but discovers she has pretty much none of the ingredients. So she collects the things she needs to make the pancakes, before her cat and dog eat them. Oops! Read it again rating is 5/5, though it’s not too much of a bedtime story as it involves just that bit too much effort for the reader! Ha ha! Jesmond Dene before the jungle! We haven’t read goodnight tractor, but it sounds like a book James would enjoy; I’ll look it up, thanks!